or how it takes 30 yrs to get it right..
Glenn Irvine's images of his 30 year old Henschel Hs 123 inspired me to dig out this old photograph of Revell's 1/32 scale Messerschmitt Bf 109F, built some time around the early 1970s when I was 12 or 13 years old; and when the Revell kit was still a recent and very desirable release. Although the exact details are a little fuzzy after all this time (the model itself was consigned to the trash can decades ago), this Friedreich was probably brush painted with Humbrol and/or Airfix enamels, and the fuselage mottle was applied with a small piece of sponge from the bathroom! The antenna wire would have been either stretched sprue or cotton thread. Figures are from an old 1/35 scale Tamiya German Officers set. I can also see the 1/72 scale Frog Messerschmitt Bf 110G-4 and, I think, the Airfix Fiesler Storch in a particularly unsuccessful attempt at forced perspective. The 1:1 scale traditional Aussie red bricks in the background don't help maintain the illusion either. Even so, it appears that I liked shooting from a low angle even at that young age. 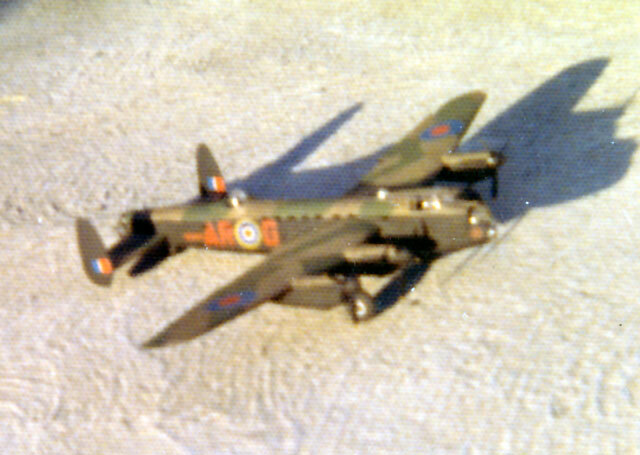 Below is a photograph taken a year or two later on colour film of a 1/72 scale Lancaster B.I finished as "G George" of 460 Sqn RAAF. I believe that this was the old Revell Lancaster kit. Finally, below is a photo of the Editor on an early research trip. The carrier was on display at a local car yard. Actually, my suburb offered several opportunities to view WWII vehicles. Within easy walking distance of our flat was a disposals yard, on Canterbury Road at Wiley Park. This yard frequently sold carriers, Diamond T wreckers, Scammel transporters, Dodge and Studebaker trucks, and even the occasional tank. 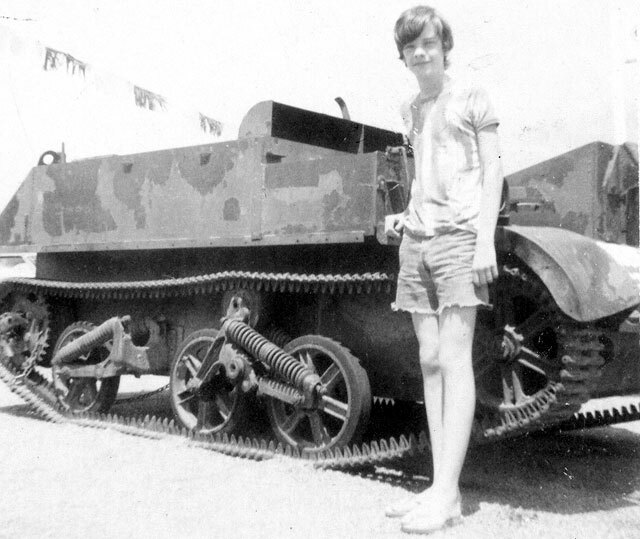 I am sure that I remember seeing a Matilda and a Churchill there during the early 1970s. 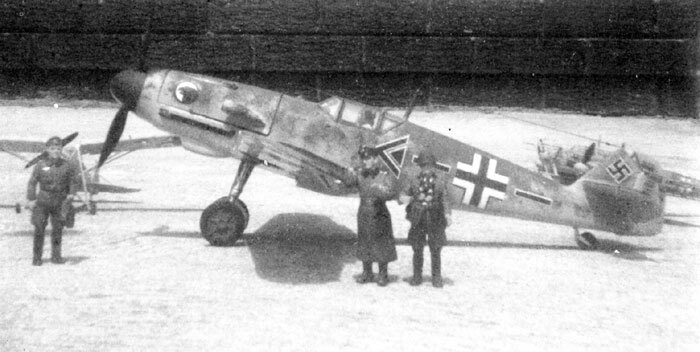 This photo was taken around the same time as the Bf 109 model photo at the top of the page, making me about 13 years old. The tie-die T-shirt, cut off shorts and sandles date the picture around the early 1970s too! These photos were taken on an instamatic Kodak 126 format camera. This was my second camera, after a Box Brownie (yes, seriously). My interest in the Messerschmitt Bf 109 from 30 years ago continues today. 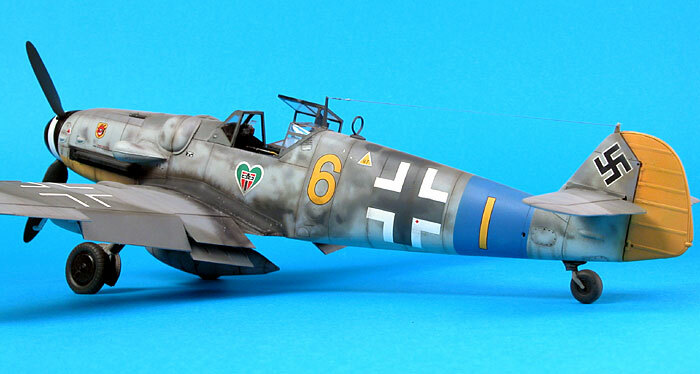 Here is a photo of my most recent 1/32 scale Messerschmitt Bf 109G-6, produced from the vastly superior Hasegawa kit.